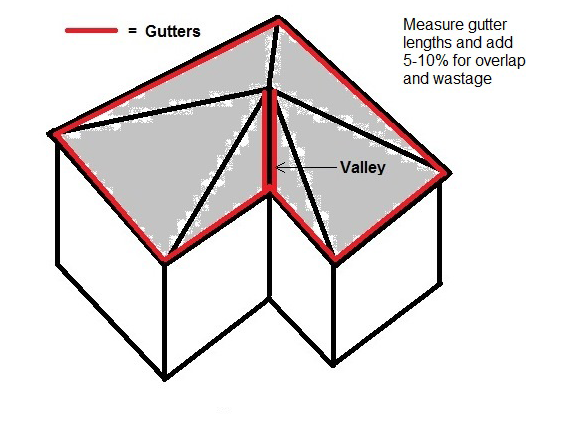 Measure the length of the guttering of your home. Add 5-10% for overlap and wastage. If you have chosen GumLeaf Colorbond Gutter Guard for a corrugated roof then decide which colour of gutter guard you will need to match your roof colour (see the chart above for Colorbond colours available). Woodland Grey is stacked on the gutter guard shelf in Bunnings so simply go to your local Bunnings and help yourself to the number of metres you require off the shelf and then proceed to Step 5. But if you require a colour other than Woodland Grey then these are available through the special orders desk at Bunnings so proceed to Step4. If you have chosen GumLeaf Colorbond Gutter Guard for a Tile roof then only the woodland Grey colour is available as you cannot see the gutter guard from the ground so now proceed to step3. If you have chosen GumLeaf Stainless Steel Gutter Guard for a Corrugated roof then you do not need to decide on the colour of the gutter guard as both the tile and corrugated roof profiles come in just one colour, i.e.stainless steel. If your roof is corrugated then you will need to decide which saddle colour you will need to match your roof colour. 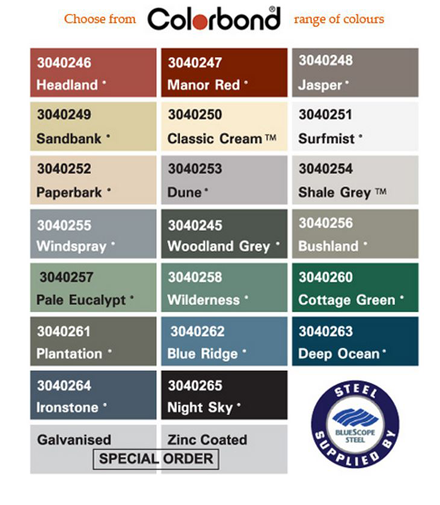 Six saddle colours are available in total namely Woodland Grey, Surfmist, Pale Eucalypt, Ironstone, Manor Red and Shale Grey. Stocked on the gutter guard shelf at Bunnings are saddles in Woodland Grey, Surfmist and Pale Eucalypt colours, so simply go to the shelves of your local Bunnings and help yourself to the stainless steel gutter guard you require. If you choose a saddle colour to match your roof colour that is on the shelf at Bunnings then simply help yourself and then proceed to Step 5. If you choose one of the special order saddle colours of either Ironstone, Manor Red or Shale Grey then proceed to Step 4. Note that 8 saddles are required per 1.2m length of gutter guard – the saddles are sold as a pack of 8. If you have chosen GumLeaf Stainless Steel Gutter Guard for a Tile roof then bear in mind that you cannot see the gutter guard from the ground so now proceed straight to step 3. If you have chosen GumLeaf Aluminium Gutter Guard then simply go to the shelves of your local Bunnings and help yourself to the number of metres you require off the shelf. Proceed to step 5. For Tile roofs measure the gap between the gutter lip and the edge of the tiles (this is called the ‘Fold’). The Fold lies mostly between 70-100mm. Make sure that the bottom row of tiles can be slid back (i.e.there is no cyclone clips or nails). If you require Stainless Steel gutter guard for tile roofs with a 70mm fold then these are stocked on the gutter guard shelf at Bunnings so simply go to the shelves of your local Bunnings and help yourself off the shelf and then proceed to Step 5. Otherwise the other folds are available through the special orders desk at Bunnings so proceed to Step 4. Go to the Special Orders desk at your local Bunnings. Ask for GumLeaf Gutter Guard. For all items that you could not find on the shelf, tell the special orders desk the number of metres you require in either Colorbond or stainless steel gutter guard, the Fold if your roof is a tile roof or if your roof is a corrugated roof, the colour of the Colorbond gutter guard or for stainless steel request the colour of saddle you require.